Our very first intern, Karen, came to work very excited. The evening before, along with her family, she had watched her favorite show, “The Bachelor.” They always DVR the show to watch it at their convenience. As the show began, the name of the safari camp appeared. Karen told me she shouted to her parents: “Go back! I need to write that down! They may have a project they support, and we can include them on the Pack for a Purpose website.” Clearly, I had done a wonderful job of indoctrinating Karen into Pack for a Purpose, even when watching television for fun, PfaP was clearly at the top of her thoughts. It was wonderful to see how excited she was at her discovery. We reached out to the MORE group the next day, and a marriage was made. I never personally followed “The Bachelor,” so don’t know if he found the love of his life, but Pack for a Purpose found a perfect match in the MORE group, and has taken great pleasure in promoting the wonderful work they do on our website ever since! It was some three years ago that we were approached by a representative from Pack for a Purpose who had seen Lion Sands Game Reserve (Sabi Sand Reserve) featured on an episode of ‘The Bachelor’. MORE owns and operates a collection of luxury lodges and hotels in South Africa. Each of our very unique properties has been selected for its extraordinary location within some of South Africa’s most beautiful and coveted regions, including the Sabi Sand Game Reserve, Madikwe Game Reserve, Marataba Reserve and Cape Town. It is a sad truth in South Africa, and in many countries around the world, that some of the most incredible natural beauty often goes hand in hand with communities of people who are living in very challenging circumstances, often on the verge of abject poverty. We are of the belief that we are not only responsible for taking care of the natural resources over which we have been placed custodian, but we are also responsible for doing what we can to improve the quality of life of people sharing our space in some way. Considering that many of our staff members employed at the reserves are from such lesser privileged local communities, we have a direct role to play in bettering their, and their families’, lives. 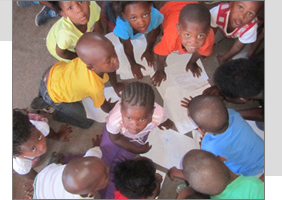 It is estimated that about 80% of young children in South Africa’s townships do not have access to early childhood development education (ECD), leaving them neglected and unattended, and therefore incapable of maturing to their full potential. What chance do they stand of making a success of their own lives if they are never given the chance of lifting themselves out of the situation they have been born into? It is for this reason that we have chosen to invest specifically in the development of young children– the potential leaders of tomorrow. 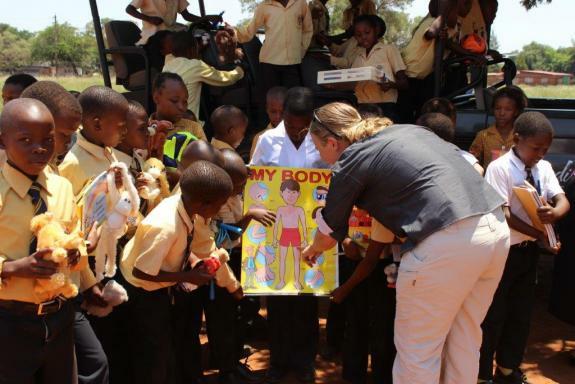 Pack for a Purpose has facilitated a direct bridge between our small piece of Africa, and the rest of the world. Since the inception of the Pack for a Purpose and MORE partnership, the following initiatives have directly benefited. 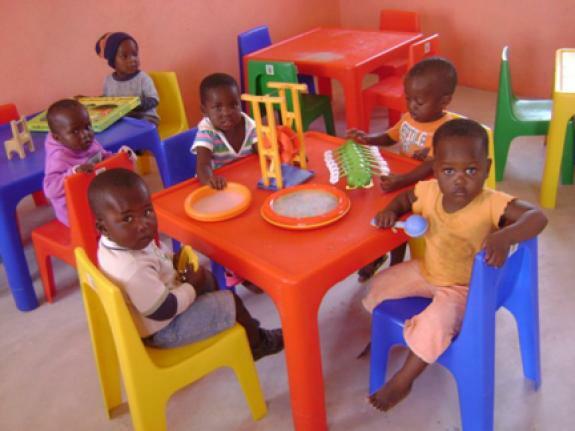 HENNA Pre-School: Located in the Mpumalanga Province, adjacent to the Kruger National Park, the greater Bushbuckridge area has been identified as one of twenty-three rural and urban nodes by the South African government. These nodes represent the largest concentrations of poverty in the country. It is here that you will find the community of Huntington. 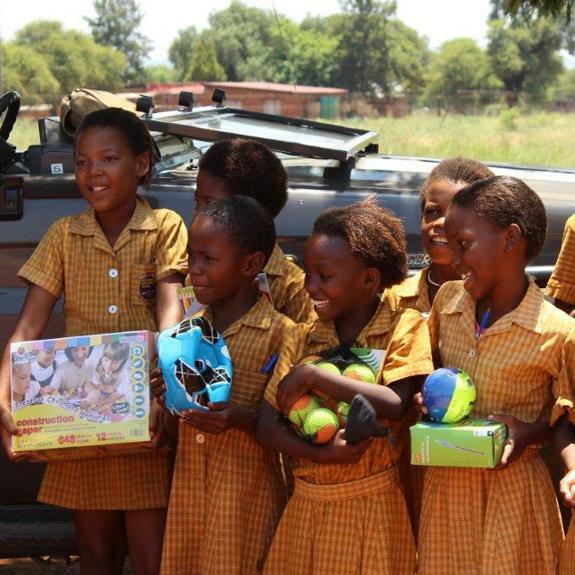 10 years ago, Lion Sands Game Reserve partnered with the Huntington Community to create and develop a pre-school for young children, taking care of their daily educational and nutritional needs. The school has since grown from its humble beginnings with just 10 children, to accommodating over 110 young learners across multiple grades. OBAKENG SCHOOL: Situated in close proximity to Madikwe Safari Lodge, this junior school currently educates 196 children ranging from Grade R through to Grade 7 (ages 5-13). Seven teachers manage to do this without a library or access to technology of any kind. INJONJO CRECHE: Motivated by the number of children who were left unattended on the streets of her Cape neighborhood, Mavis Ngcongolo opened the doors of her tiny shack on a plot of about 90 sqm in Mfuleni, Western Cape. Although many parents cannot afford the low school fees, Mavis manages to create a very loving environment and support, protection and daily meals for about 70 young and vulnerable children. However, she cannot employ qualified teachers, provide educational materials or allow for the improvement of the building. As the small, insecure, leaking structure does not comply with the national building regulations, her application for registration has been rejected and no governmental grants are accessible to her. Thanks to Pack for a Purpose, hundreds of our guests from around the world have arrived on safari, and in the Mother City with more than just dreams. 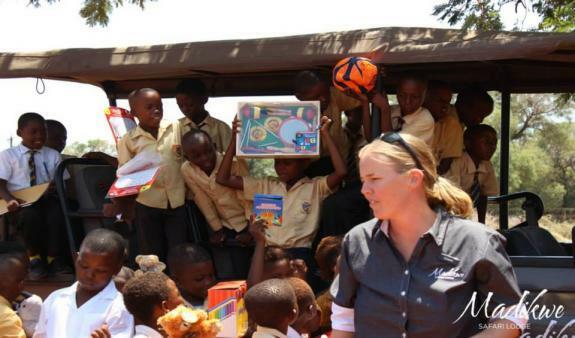 Their suitcases have been packed to the brim with basic yet necessary supplies as listed on the Pack for a Purpose site, which have had an exponential impact on the lives of the very young recipients at the receiving end. For us at MORE, Pack for a Purpose provides an easily achievable way of making a valuable and long lasting contribution to people in dire need. With the rise in global responsible tourism, we are thrilled at being able to afford our clients with the option of making a difference through this very worthwhile initiative. Our sincere gratitude goes to the Pack for a Purpose team, as well as each of the visitors who have contributed in some way. There is a word in Africa that we hold dear. “Ubuntu” relates to the belief in a universal bond of sharing that connects all humanity. Where better to see it in living practice than in a project such as this one?